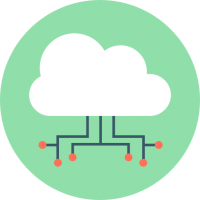 Our industry-leading web application firewall (WAF) and DDoS mitigation solution stops attackers in their tracks. The WebOrion™ Protector provides complete web application security for all platforms, including WordPress, Joomla!, Drupal, Magento, and custom applications. Defend against the OWASP Top Ten threats and previously disclosed software vulnerabilities. Our security research team constantly adds new WebOrion™ rules and review them to keep you protected 24/7 from the latest and most dangerous threats in the wild. The WebOrion™ Protector WAF keeps your websites safe by publishing new rules as soon as vulnerabilities are announced. The WebOrion™ Protector WAF uses an intelligent anomaly-scoring, heuristics and signature-based WAF engine to effectively discern between good traffic and malicious traffic. 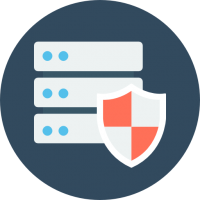 Optimized for speed and minimized false positives, your website can start enjoying better security with the WebOrion™ Protector WAF without a single minute of downtime. The WebOrion™ Protector works together with the WebOrion™ Accelerator to stand in front of your web server, regardless of DDoS attack size. 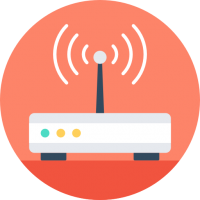 We disperse traffic within our globally distributed and stop attacks at the edge, so that your web server remains safe from attack. All domains on WebOrion™ come free with a LetsEncrypt SSL certificate, automatically provisioned and renewed every 90 days. Improve page load performance, regain your users’ trust and boost your search engine rankings just by using HTTPS. Alternatively, you can always upload your own custom SSL certificate when you sign up for the Pro plan or higher. The WebOrion™ Protector sits in between the visitor and your web server, inspecting all web traffic going in and out of your website. 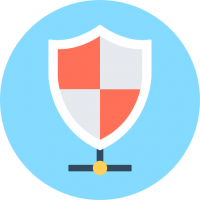 If the WebOrion™ Protector detects any malicious requests, it will stop the traffic before it reaches your web server, keeping it safe from exploits. Any blocked requests will show up in the Firewall Event Log, where you can review the detected threats and attack attempts to your website to further blacklist bad IP addresses. Check out a quick demo of the WebOrion™ Protector WAF in action.